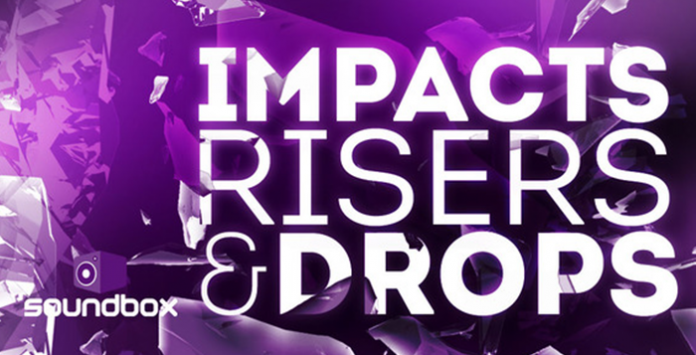 Soundbox have unleashed the beast with this their latest whopper of a collection Impacts, Risers & Drops. A humungous 4.06GB of pure effects heaven is jammed into this professionally crafted pack of loops and samples. Crossing all genres spanning from 120Bpm, 128Bpm to 140Bpm you are bound to find the perfect FX accompaniment for your productions. Fans of Deep House, Tech House, Techno, Progressive, Dubstep, Electro and Glitch alike will find this behemoth selection of FX a no brainer for their sample weaponry. In each of the 3 Bpm synced folders you will find 300 loops split into 3 sections of Drops, Risers and Impacts. A total of 900 loops make this Soundbox release, the biggest and best value collection to date. Music made in the vain of Hardwell, Dusky, Showtek, R3hab, Eric Prydz, Calvin Harris, Moderat, Fedde Le Grand, Knife Party, Skrillex, Rudimental and Royksopp all find these FX elements an integral part of their production. Make sure you stay ahead of the curve with these ready to drop loops by incorporating them into your crescendos, breakdowns and section changes.